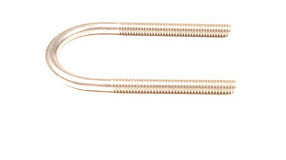 Light Duty Nail In Anchors - Corrosion Resistant Steel Anchor | U-Bolt-It, Inc.
Nail-In Anchors are a general purpose, light duty anchor used in concrete, block and brick applications. They are a one piece corrosion resistant steel anchor consisting of an expansion body and expander drive nail. 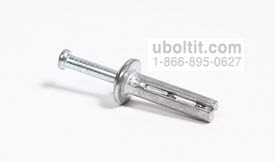 Nail-in anchors can be used to attach electrical boxes, drywall track, roof flashing and conduit clips. They are tamper proof and there is no need for hole spotting.